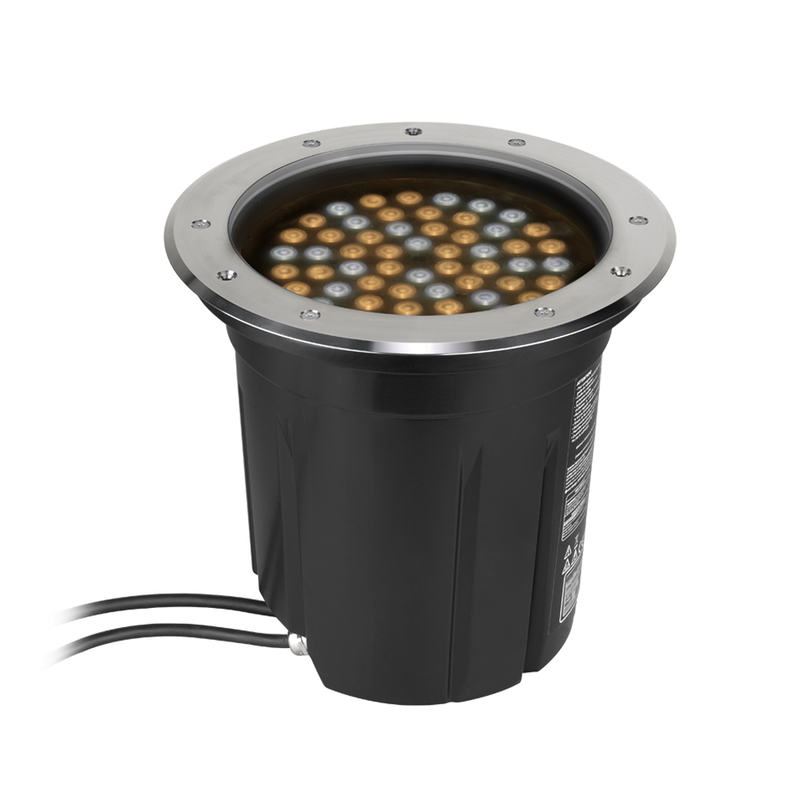 The Exterior™ Inground 400 series is a range of uncomplicated, easy-to-use color-changing LED luminaires. 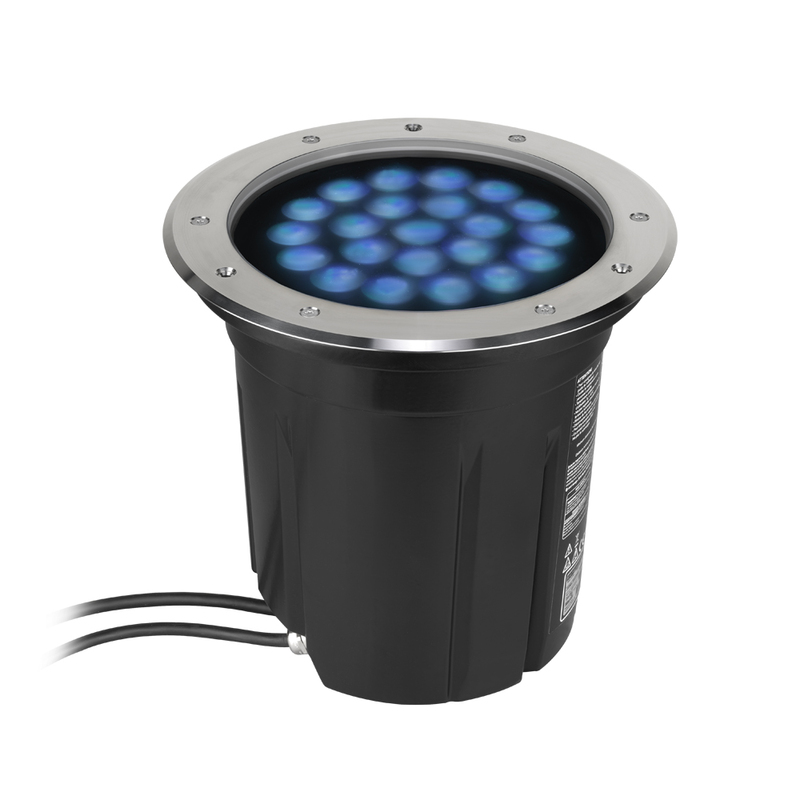 Perfect for installations with visible light sources, the Exterior Inground series combines the benefits of dynamic light and discreet installation. The recessed housing can be made to fit any type of surface with a trim ring available in beveled and flush-mount versions, for discreet installation both day and night. The series is available in various configurations. The Exterior Inground 400™ has a narrow beam. 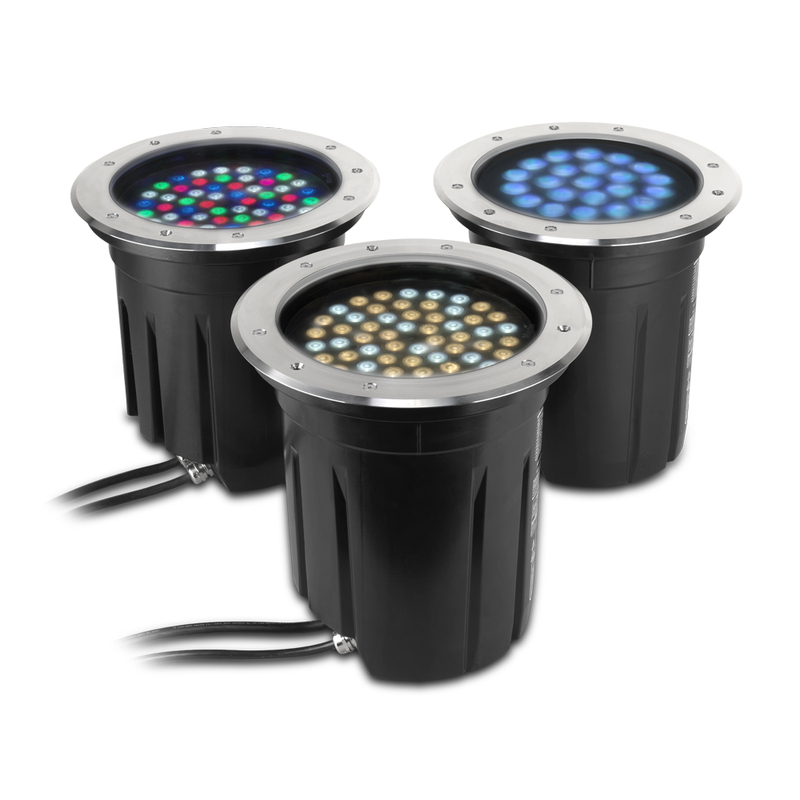 The Exterior Inground 410™ blends the output of its RGBW LED sources in its lenses, delivering perfectly pre-mixed colors. And the Exterior Inground 420™ gives variable color temperature white light from 2700 to 6500 K.
The Exterior Inground 400 features a 19 mm tempered glass cover which is available either as clear glass or with an anti-skid surface for use in pedestrian areas. The top ring is available in flush or beveled mounting options and the entire installation can be carried out without breaking the factory seal. Total heat dissipation (calculated, +/- 10%): 490 BTU/hr.